“6THPRLLL” is a collaboration between Italy`s Slam Jam, the fashion / design house responsible for those “future Jazz” records by Panoram and A.D. Brouke, and Asics, the Japanese sports footwear empire (Nike was founded in 1964, primarily to supply Asics` gear to the U.S.). The collaboration takes in art, video, music and of course, shoes, in the form of a limited edition of the classic Gel-Lyte III trainer. The promotional concept is that of an alternate (Parallel?) 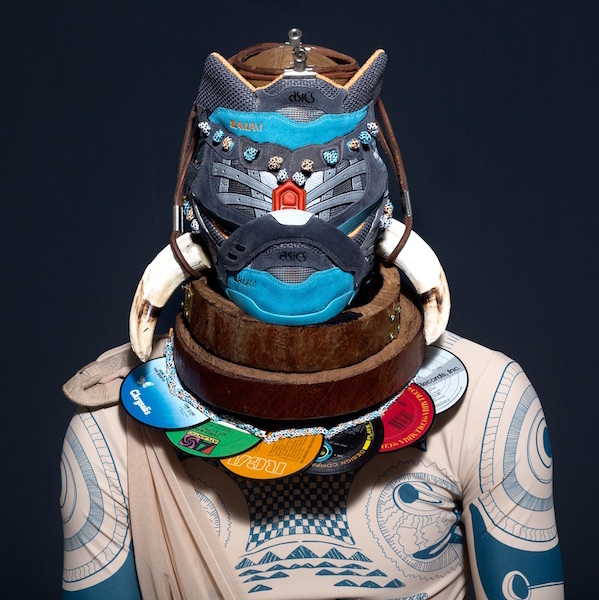 universe inhabited by tribes for whom Simone Valsecchi has created a series of masks constructed from “de-constructed” Gel-Lyte IIIs. 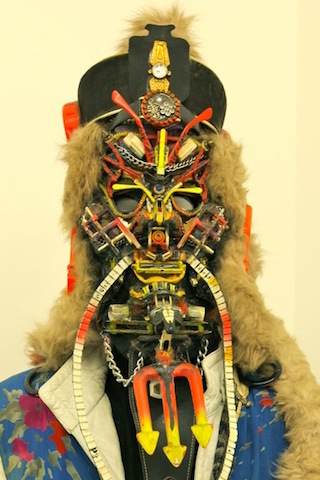 The masks bearing a strong resemblance to those built and worn by Rap Iconoclast, Ramellzee. The music, put together by Khalab & DJ Hendrix, adheres to this tribal theme, mixing sampled African dialogue and percussion with dental-work rattling machine bass. A siren segues into psychedelic sanza, a balafon jams, and the dance is initially not unlike that Decent International 12 that came and disappeared before I could either review it or purchase a copy (a repress is on the way), its rough edges then refined into kalimba-soothed Deep House. A theme for great cities (Milano?) that bumps rudely yet still kind of serene, like a Lo-Fi Mark Barrott in miniature. 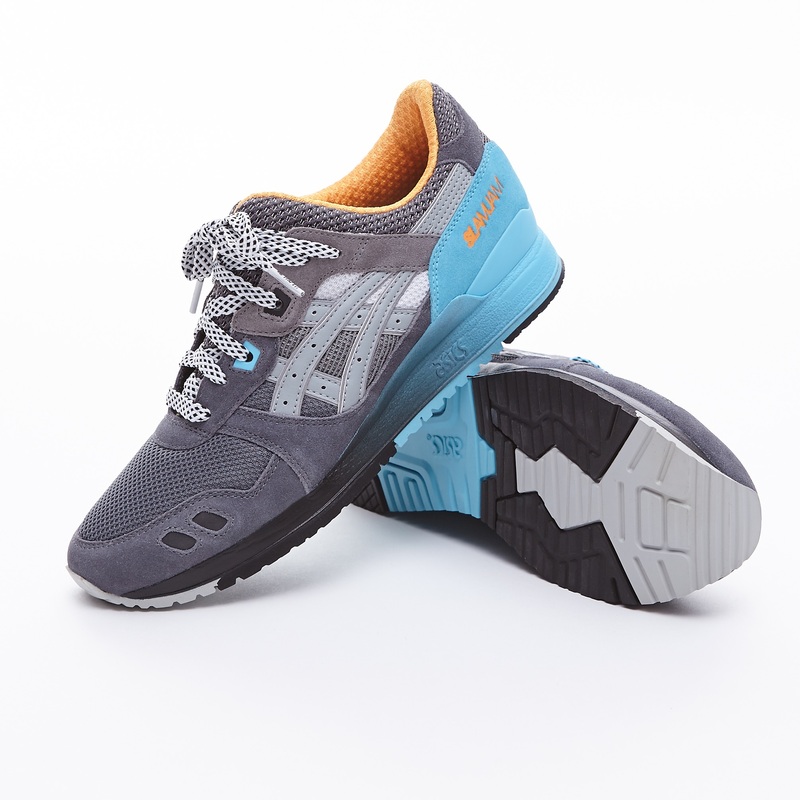 The shoes, in a package that includes a 7” and a magazine of artwork taken from the video shoot (directed by Federico Zanghi), went on sale on-line on Saturday, and will be available in the terrestrial Slam Jam stores (Milan & Ferrera) and selected Asics outlets as of May 21st. As for the music, 150 copies of the 7″ will be held back for distro and the track will be available digitally on iTunes.